Kate Aspen's Modern Romance collection brings style to every guest with the Cupid's Arrow Gold Place Card Holders sold in a set of 6! 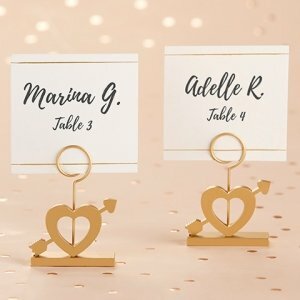 The gold, romance themed place card holders come with matching place cards, each displayed via a spiral wire on top of the heart shaped based. 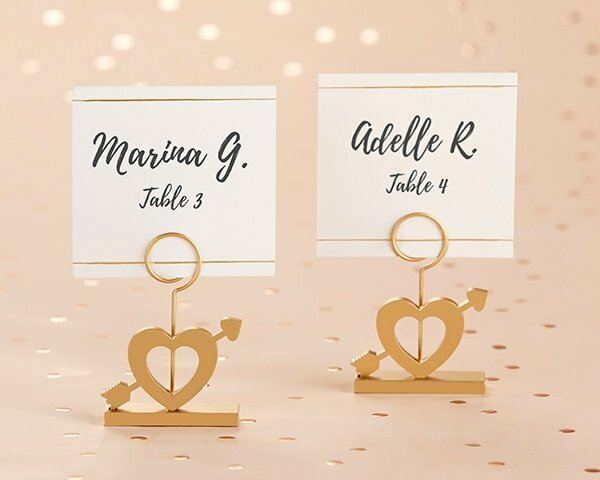 The Cupid's Arrow Place Card Holders feature a classic and versatile open heart with arrow design!